This is the first year that such a sharp decline of nesting Kemp’s Ridley have been documented on their home beach in Rancho Nuevo, Mexico, in the state of Tamaulipas. In video footage from 1947 approximately 42,000 Kemp’s Ridley nested during that single day! About 80% of the nests, about 33,000, were collected and transported to local villages in that year. In 2006, about 12,143 nests were documented in Mexico, with 7,866 of those at Rancho Nuevo. The three main nesting beaches in Tamaulipas, Mexico are Rancho Nuevo, Tepehuajes, and Barra del Tordo. 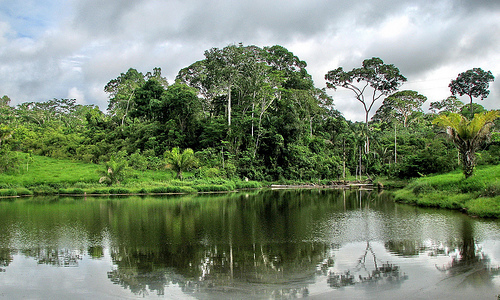 Nesting also occurs in Veracruz, Mexico, and Texas, U.S., but on a much smaller scale. Occasional nesting has been documented in North Carolina, South Carolina, and the Gulf and Atlantic coasts of Florida. 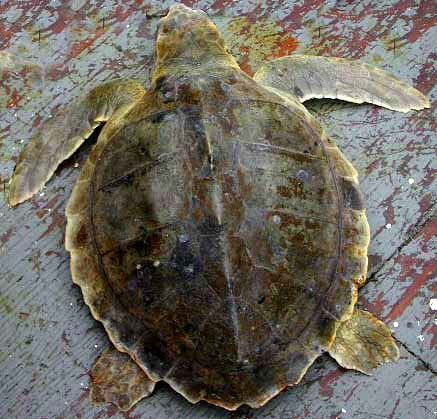 On the Texas coast, 251 Kemp’s Ridley nests were recorded from 2002-2006. For the 2007 nesting season, 127 nests have been recorded in Texas, with 73 of those nests documented at Padre Island, This nesting season has just begun and 21 Kemp’s Ridley sea turtles were found dead or dying on beaches in the Upper Texas Gulf Coast. Many areas lack the proper protection needed. Federal officials and conservationists are concerned about unusually large numbers of dead Kemp’s Ridley turtles that have washed up on beaches along the upper Texas Gulf Coast since April 1. The new rewrite of the endangered Kemp’s Ridley Recovery Plan is open for input until May 17, 2010. 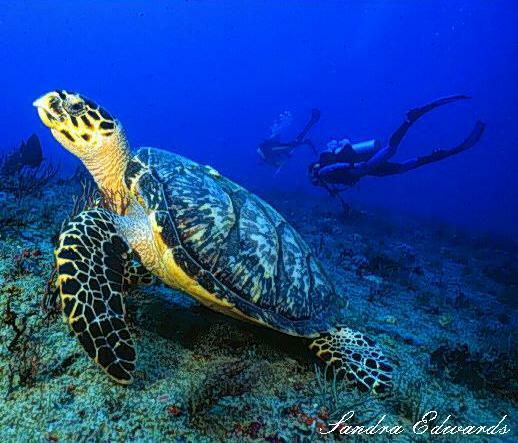 The current plan lacks adequate protection for the turtles on the Texas nesting beaches and offshore habitats. We have until May 17, 2010 to ask the Recovery Plan Committee to update their Plan to include greater protections for the growing numbers of Kemp’s Ridleys nesting on Texas beaches. 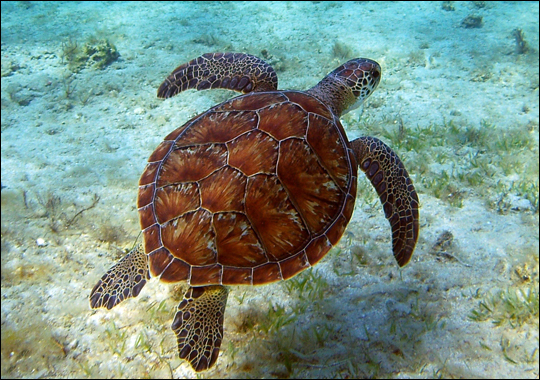 1) Click here to send a letter to the National Marine Fisheries Service urging greater protections for Texas Kemp’s ridleys. 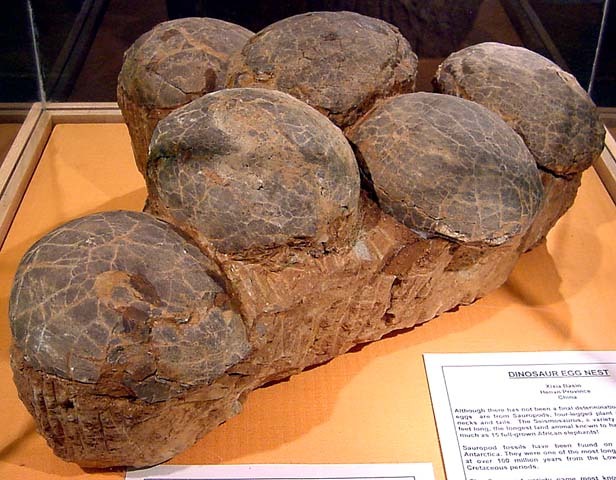 2) Please donate to the Sea Turtle Restoration Project, Adopt a Nest, or make a large contribution and receive an onyx carved turtle. Thank you for your continued support of our beloved and endangered Kemp’s Ridleys sea turtles at the Island National Seashore. Those 127 nests are a record for the Texas coast, passing the 2006 record of 102 nests. We have until May 17 to ask the Recovery Plan Committee to update their Plan to include the growing numbers of Kemp’s ridleys nesting on Texas beaches and accelerate the scientific process of identifying the most important marine foraging, breeding and inter-nesting habitat for these endangered sea turtles. Yesterday, a few fortunate individuals shared an intimate luncheon with Dr. Laurie Marker of the Cheetah Conservation Fund (CCF) during her stay in Tucson, Arizona. She is a pioneer who has worked out a successful living model of teaming conservation of an endangered animal with a strong economic model that educates local farmers and ranchers and their children in ways to save their livestock while allowing predators like the cheetah to survive. Her work is a landmark and turning point for conservationists and environmentalists to lead the way for improving the quality of life for the local people and saving endangered “predators”. Through her passion for saving the critically endangered cheetah, she has reached out and carefully listened to the farmers and ranchers in Namibia, Africa. After hearing their concerns she set up research projects to collect data and get answers to alleviate their fears of cheetahs. She continues to work hand in hand with the locals to find ways to protect and improve the health of their stock, and is creating sustainable businesses as well. Before she came, locals felt that the solution for predator encroacment was to shoot any possible predator that came on their land. Now, they call Dr. Laurie before they shoot the cheetah. She and her rescue team will immediately respond. They will go anywhere in Namibia day or night to save a cheetah. Has improved the health of the farmers live stock. Her eco-business plan has lead the way for other conservation efforts to follow. Has saved and returned 500 cheetahs to the wild. For her life work she has received many international awards, but her greatest reward and biggest dream is to see the cheetahs thriving across its entire range again from Africa to the Middle East and Russia. be able to live in the wild? 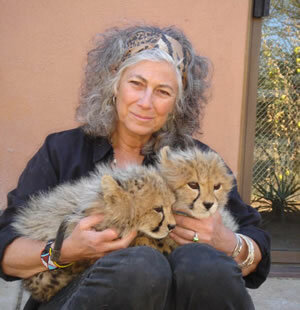 To help Dr. Laurie continue saving the endangered cheetahs, click here. 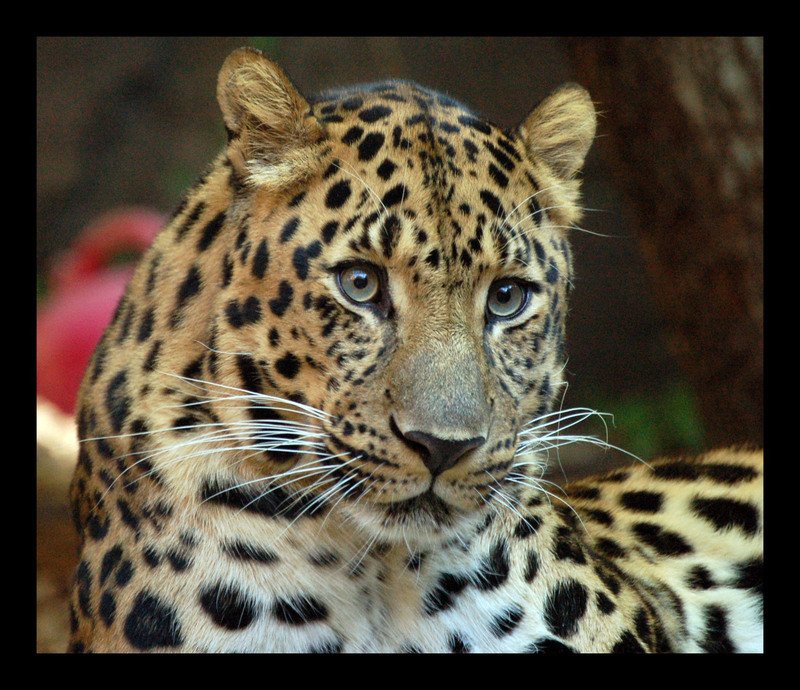 Please join Cheetah Kids at the Reid Park Zoo and help save the cheetah. 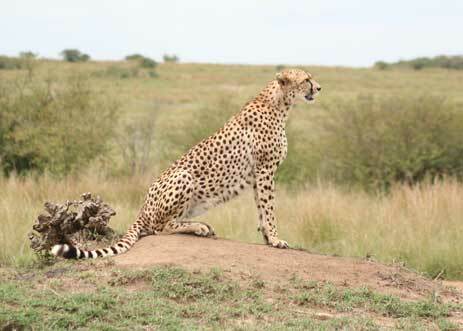 Learn how cheetahs and people in Namibia, Africa are co-existing successfully. 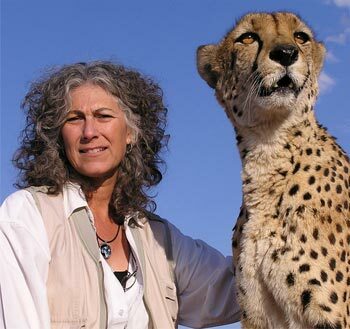 work are helping the local economy in Namibia and the cheetahs have a chance at survival..
Monday at 5:30 PM you can meet the world’s greatest authority on cheetah conservation Dr Laurie Marker. This is the first time Dr. Laurie Marker has come to Tucson, AZ. We at Nature’s Crusaders congratulate you on you valuable research and work. Cheetah Conservation Fund works with all groups and individuals within the cheetah’s ecosystem to develop best practices in research, education and ecology and create a sustainable model from which all other species, including people, will benefit. A mother and her calf are cruising near the Vineyard in Nantucket and in and out of adjoining canals. Ninety- five right whales are playing and feeding today in what might be one of the largest gathering of these rare whales in history. These endangered whales eat plankton and billions of copepods (tiny crustaceans) while consuming about a ton of food a day. The copepods are packed with protein and calorie-rich oils. 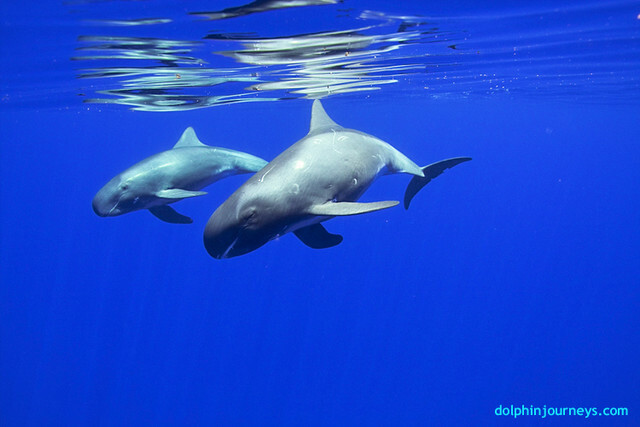 Their near-surface feeding and traveling activities put them at risk for vessel collision. The mother-calf pairs often wander into smaller waterways like the Cape Cod Canal and Salem harbor. There are two first time mother this season. 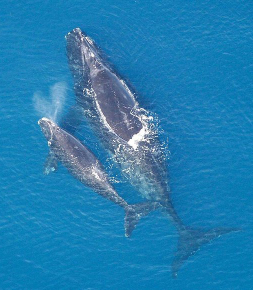 The North Atlantic right whale Eubalaena glacialis,is greatly endangered. An adult right whale measures about 50 feet (15 metres) in length. There are two other species of right whale, Eubalaena australis, which lives in the southern hemisphere, and Eubalaena japonica, the North Pacific right whale. The three different species of right whales never meet in their ocean travels. While southern right whales are increasing at a rate of 7-8% per year, North Atlantic right whales are not showing any signs of recovering from historical whaling with approximately 350 individuals left. Man is the greatest threat to these highly endangered whale, because of collisions with ships and entanglement in fishing gear, and pollution. Theremust be a rampant sickness that pervades some “people” that claim the “right” to wipe out any creature for the fun of it. I am not speaking OF THOSE THAT MUST HUNT TO SURVIVE. The group that epitomizes this way of thinking is the Safari Club International. Itis the largest international group of those unenlightened souls that kill endangered or threatened species for the “sport” of it. Where is the sport when the hunter is the only one with a gun? Those that have claimed allegiance to the flag of murder for the fun of it include past presidents George W. Bush and George H. W. Bush, Idaho Governor Butch Otter, and Norman Schwarzkopf as lifetime members. It donates hundreds of thousands of dollars to Republican candidates. It was a close ally of Sarah Palin in her war on Alaska’s wolves. The first seeks to allow importation of polar bear heads and hides into the United States even though the species was listed as threatened under the Endangered Species Act in 2008. The second seeks to remove the polar bear from the threatened list altogether. Why? 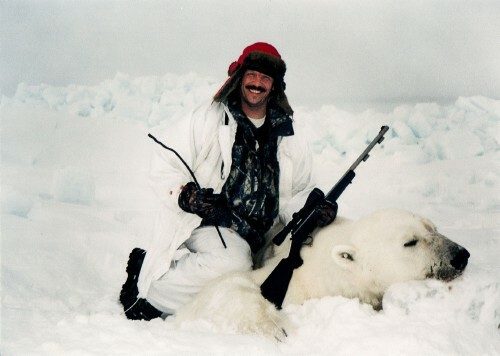 Because at $40,000 a kill, polar bear hunting is big business — and heavily promoted. Every year the Safari Club gives out a “Grand Slam” award to anyone who kills at least five great-bear species, including the polar bear. It is even accepting “Record Book” entries to encourage its members to kill the largest bears possible. The Center for Biological Diversity has formally intervened in the Safari Club’s lawsuits in defense of the polar bear, but your help is vitally needed to win both crucial legal battles. Please donate today to our Polar Bear Legal Defense Fund. but we need your help to win both crucial legal battles. How do you want your polar bears as steak and stuffed or alive and well? 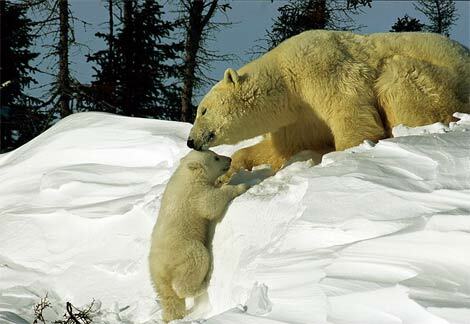 Nature’s Crusaders is urging you to give from your heart today to Polar Bear Legal Defense Fund. 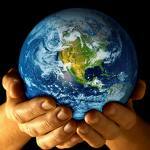 Give One Day of Service to our Mother Earth and the incredible wildlife she sustains. The goal is to get 40,000 people to walk the walk for wildlife on the 40th anniversary of Earth Day. Ask your friends, family, your church or school group to join you. Click here to add your name to the growing list of people who will be pledging a Day of Service to the Earth. 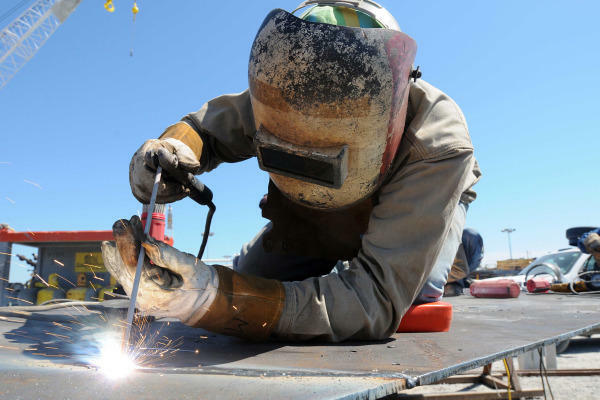 Defenders will provide you with all the tools you need to plan your project. In this ultimate cycling and interconnection of life on our earth. the latest mercury tocicity studies may shed some more light on this close interdependence of all life. 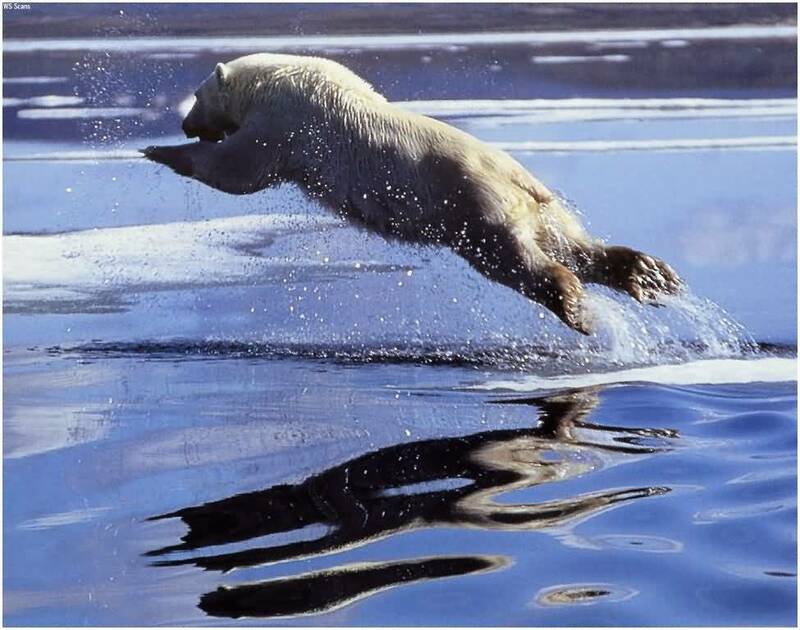 Namely the endangered polar bear and other arctic wildlife is struggle to survive global warming and pollution. 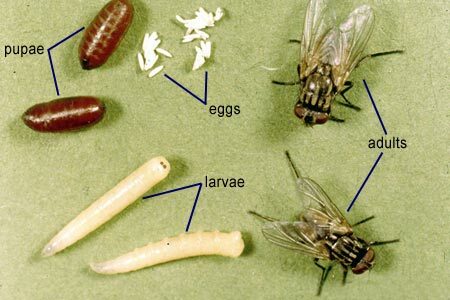 Mercury toxicity is increasing in these animals tissues. No one knows how much effect this is having on their survival abilities and the effects of increased toxicity in mother’s milk and consumption of this toxic meat and fish to their young. The following chart is provided from toxicology studies done in Norway in 2005. Mercury pollution man caused has infected all the fatty tissues of our ocean going fish and mammals to the point that “safety standards for the safe consumption” of wild caught ocean fish, whale and dolphin had to be set. Mercury’s neurotoxic and neurogenic (damaging to chromosomes) effects the nervous system and the brain’s microglial cells that are part of our immune system cells. Do not eat shark, swordfish, king mackerel, or tilefish, because these all contain high levels of mercury. Eat up to 12 oz (340 g) a week (two average meals) of a variety of fish and shellfish that are lower in mercury. Another commonly eaten fish, albacore (“white”) tuna, has more mercury than canned light tuna. So when choosing your two meals of fish and shellfish, you may eat up to 6 oz (170 g) a week (one average meal) of albacore tuna. Check local advisories about the safety of fish caught by family and friends in your local lakes, rivers, and coastal areas. If no advice is available, eat up to 6 oz (170 g) a week (one average meal) of fish caught from local waters, but don’t eat any other fish during that week. 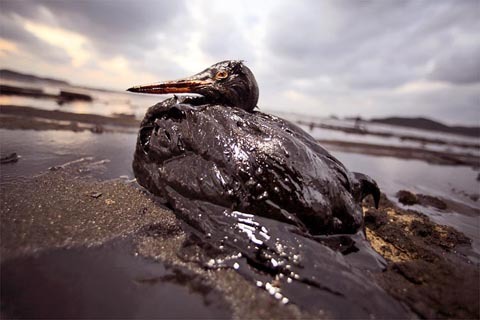 Should these warning become a stimulus to clean up our environmental act, before it cleans us up permanently? 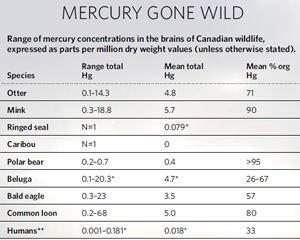 In an ironic karmic twist of fate for those peoples who are so diligently fighting for the right to continue to kill these endangered fish and animals, the Japanese and the indigenous people in Alaska and Canada have the highest mercury levels of Mercury toxins in their brain and body tissues. 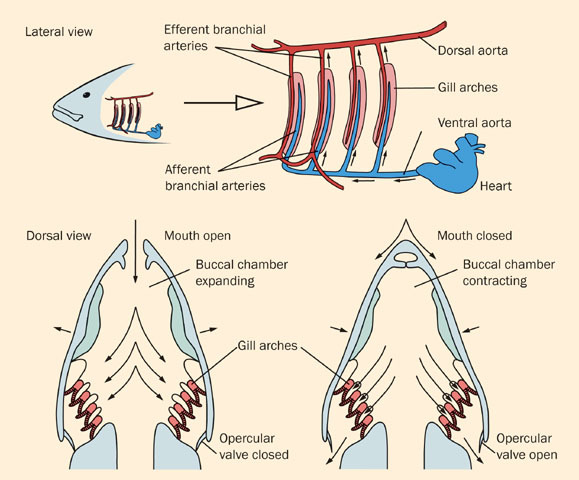 Japanese who consume the whale and dolphins caught by their own fishermen are contributing to the excessive levels of contamination of every person that eats that meat. Research proves that mercury is a DEADLY KILLER. It can cause birth defects and learning disabilities and has been implicated in adult dementia, alcohol abuse, schizophrenia, depression, Alzheimer’s and Parkinson’s diseases. Pregnant women eating Mercury laden fatty meats are playing Russian roulette with the health of their unborn. The Inuit children and other Aboriginal children with high mercury levels have far greater risk of developing motor problems. 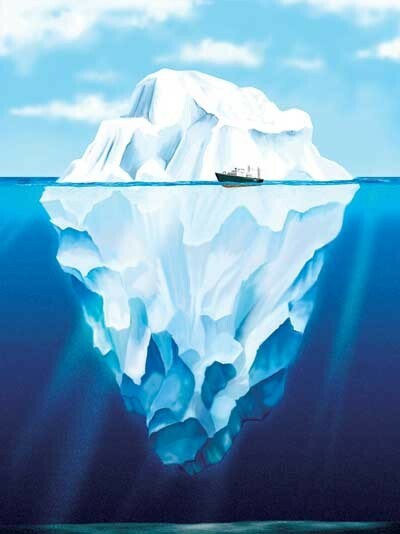 So what is the reason Japanese, Icelandic, Inuits and Norwegian fishermen continue harvesting whales, dolphin and ringed seal? Some have obvious profit, but some may have few alternatives where they live. What will happen to the generations of talented young people being cut short of their potential, by their elders continuing to wipe out these endangered and threaten and toxic species. I ask you who by these blind practices is really endangering the healthy survival of their species the most? We can clean up this mess. The Brazilian Government is the largest single buyer of condoms in the world, importing around a billion of them every year. The sales of these government supported condoms funds a high profile advertising campaign targeted to reach high risk populations.Brazil has also developed a highly effective anti-HIV/AIDS campaign, which is widely credited with having prevented the type of epidemic that has devastated other developing countries. Brazil has driven down the cost of antiretroviral drugs. The condoms are make with sustainable rubber. This supports the growth of local industry, while controlling the spread of infectious diseases like HIV/AIDS. The government opened its new factory in May of 2008. Located in the northwestern Acre state its goal is to produce 100 million condoms a year. 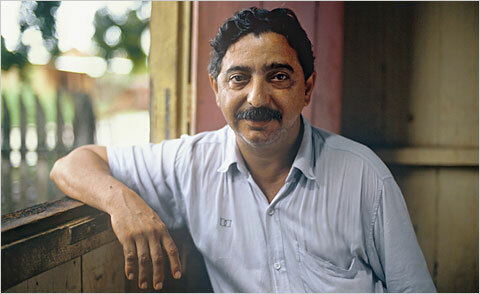 The latex comes from the Chico Mendes Reserve, named after the celebrated conservationist and rubber tapper who was killed by ranchers in 1988. He gave his life fighting conditions under which the rubber tappers worked and lived, and he grew into an activist fighting to change those conditions. 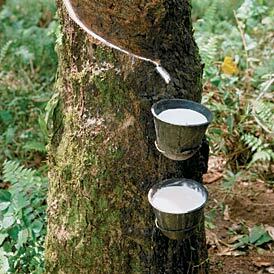 Photo of rubber sap collection courtesy of Flickr photographer zaza_bj under the Creative Commons license.